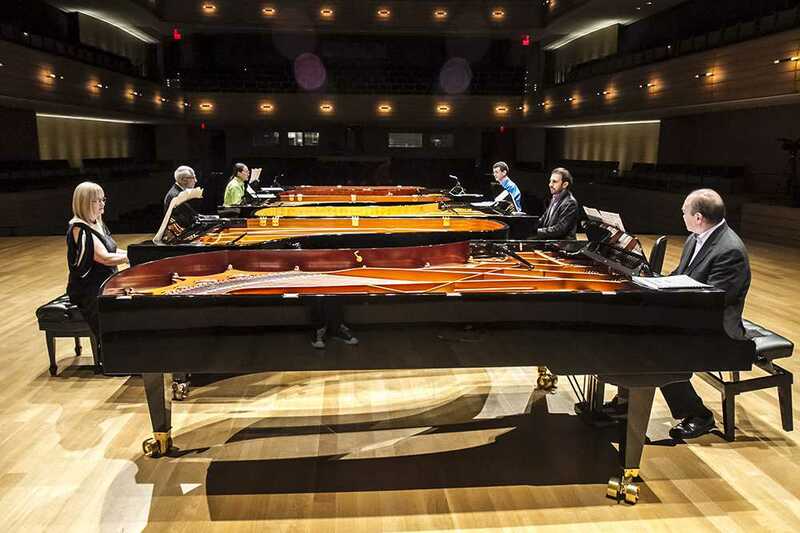 Piano Ecstasy - Christina Petrowska Quilico, Russell Hartenberger, Gregory Oh, Simon Docking, Serouj Kradjian, Jamie Parker. Photo by Trevor Haldenby. Soundstreams donors play a vital role in every aspect of our work. We are deeply grateful for your generous support.